We are your Whole House Renovation Contractor in Edinburgh, Dalkeith & Midlothian. If you have recently purchased an older home, or require major upgrades where you’re living right now, you may need a whole house renovation, which is extensive and involves most major elements of your home. In these types of projects the interior finishes are removed and you start from scratch, but you may also decide to retain certain finishes, which still may be in good condition i.e. the wall surfaces, flooring, trim work, and most of the mechanical systems of the home including the electrical, plumbing, etc. 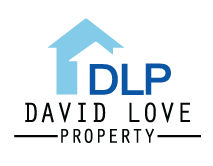 David Love Property is a one stop company that can take care of all your property renovation needs whether you are looking to renovate your whole property or just certain elements / rooms. We can take care of jobs such as: kitchen and bathroom renovations, along with other necessary improvements to the home, some jobs may include the basement, laundry room, bedrooms, and other common areas. Upgrades and repairs may also be needed with insulation, the flooring, plumbing and heating systems, along with electrical and wall finishes. In some instances, the exterior and structural elements of the home may also need to be looked at including the home’s framing, masonry, roofing, landscaping, and windows & doors. David Love Property is one of Edinburgh’s leading renovation specialists. For over 10 years, we have provided a full spectrum of services, including kitchens, bathrooms, whole house renovations, and basement finishing. From planning & design, through all phases of construction, we provide the expertise, trades, and suppliers required to make your project a successful one. Whatever the extent of your whole house renovation, David Love Property can provide all the services required to transform your home into a new home with finishes and upgrades that meet your needs.